You are here: Home / Cocktails / Festive Cranberry Cocktails! Festive Cranberry Cocktails – celebrate the holiday season with some delicious winter cocktails. 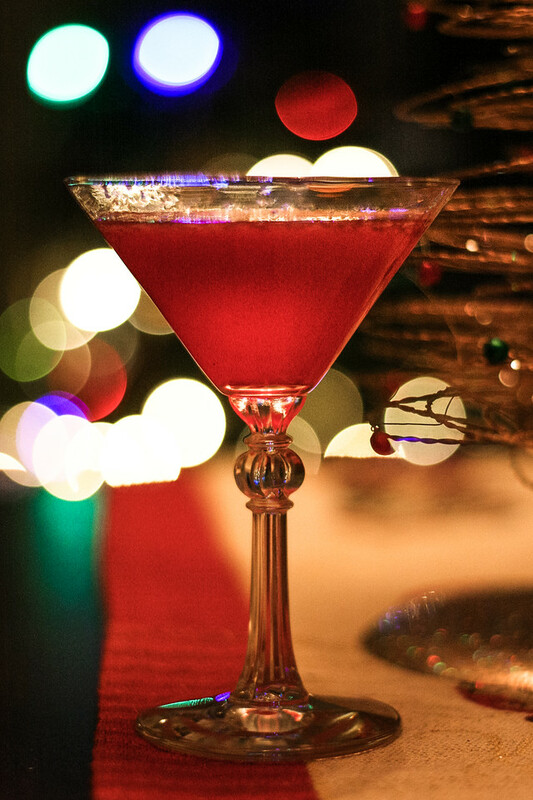 Cranberry cocktails make the perfect holiday cocktails with their vivid red color. Everything from a simple Cranberry Manhattan to Brandied Cranberries to a Homemade Cranberry Liqueur! 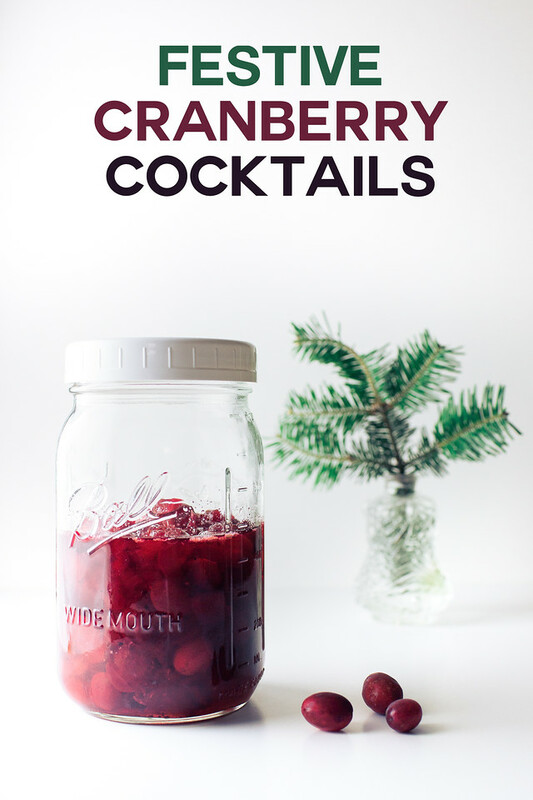 Click here to pin these Cranberry Cocktails now! Cranberry Cocktails for the Holiday Season! It’s that time of the year. The time to stock your freezer with 5 or 7 or 12 bags of cranberries, because one must never run out of Cranberries! Right now, I have the arduous task of using up last year’s stash so that I can make room for more this year. Luckily I have a selection of cranberry cocktails that will definitely make the task completely enjoyable! These Brandied Cranberries are so easy and are ready after just one day! However, I keep a jar going in my fridge almost all the time, they just keep getting better and better. I spoon them on ice cream, stir into cocktails and have been known to just eat a couple straight from the jar. Oh, and they make amazing holiday gifts! 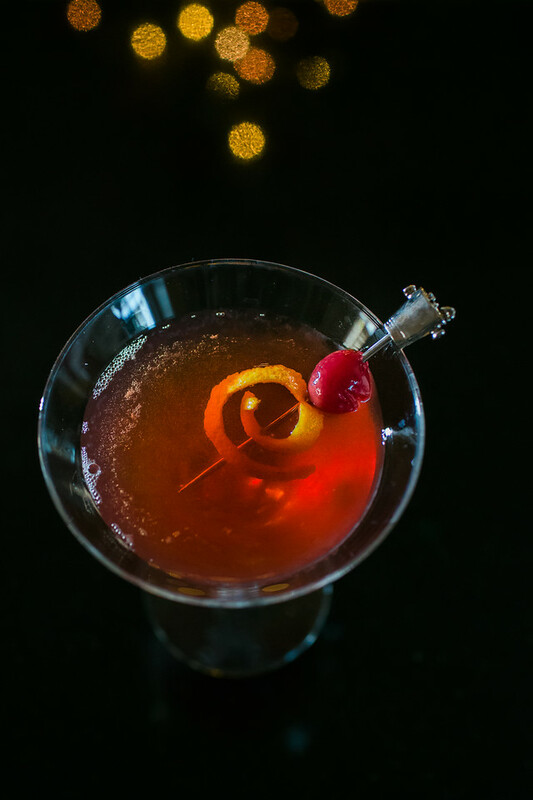 Take a classic cocktail and turn it into a festive winter cocktail with this Cranberry Manhattan. The perfect reward after a day spent shopping for presents. You deserve it, don’t you? Another classic cocktail that gets a festive twist is this Cranberry Negroni. 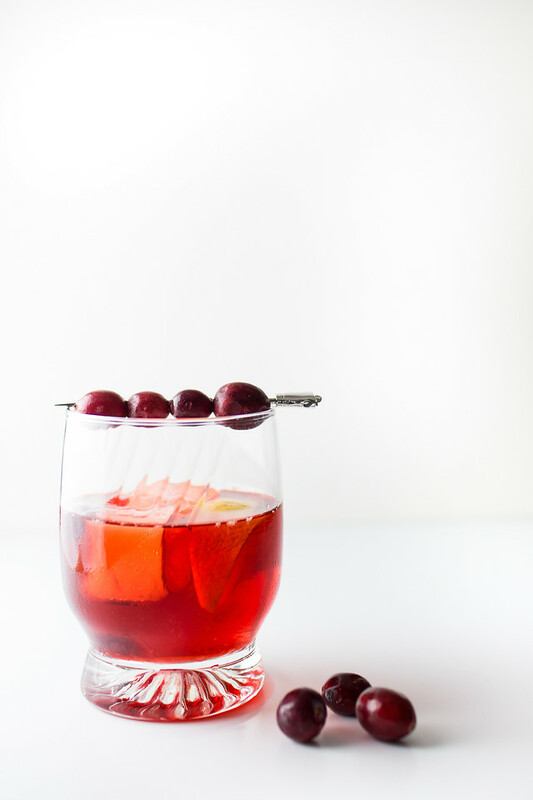 I love a good negroni and this cranberry version is one of my favorites! 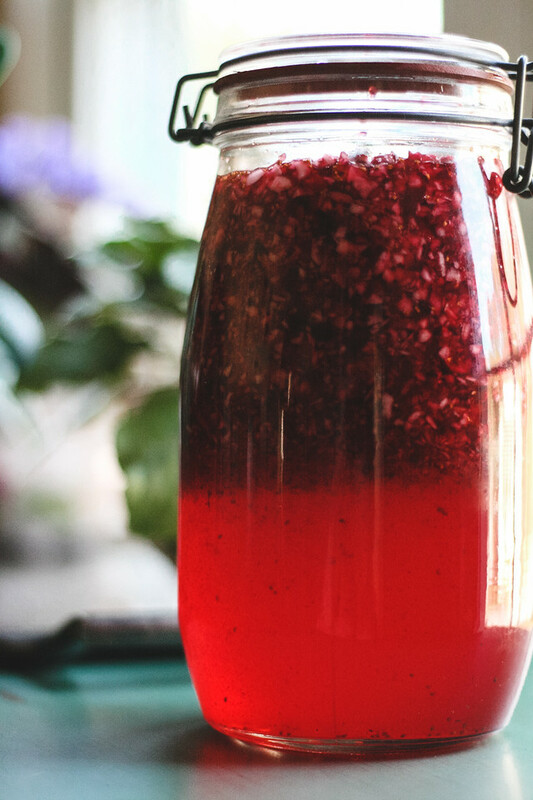 This Homemade Cranberry Liqueur takes about 15 minutes to make and then it ages for 3 weeks. So, time does all the work for you. You’ll want to make several batches, because it makes an amazing gift and you want to keep some for yourself! Seriously. Make this. You’re welcome. The Best Cosmopolitan. Do you want to know the secret of this Best Cosmopolitan? That Homemade Cranberry Liqueur mentioned above! Don’t worry the recipe includes options without the cranberry liqueur, but really you need to make the liqueur. There you have it, a collection of 5 festive holiday cocktails!! You are all set for the holiday season. 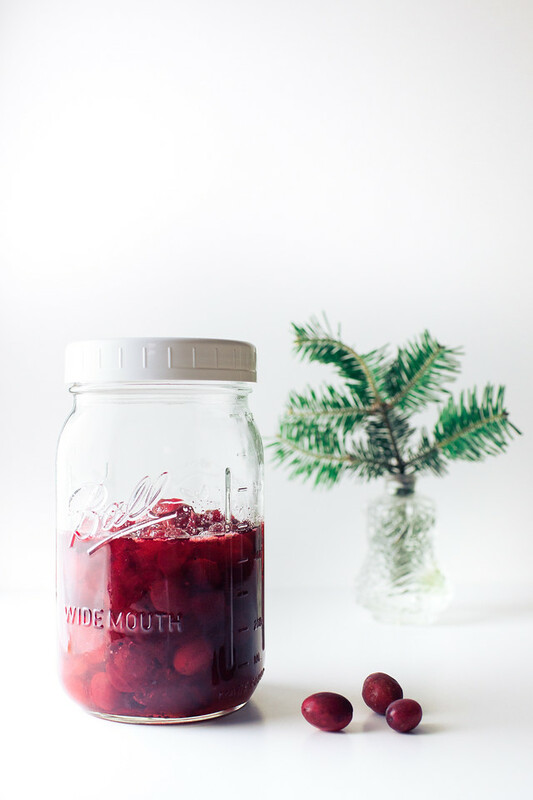 Won’t it feel good to have a jar of brandied cranberries in your fridge to spoon over vanilla ice cream for an instant festive dessert? A bottle of cranberry liqueur in your liquor cabinet and you are ready for happy holidays! Update Notes: This was originally published in 2014 and has been updated for 2018. Pinned and tweeted! 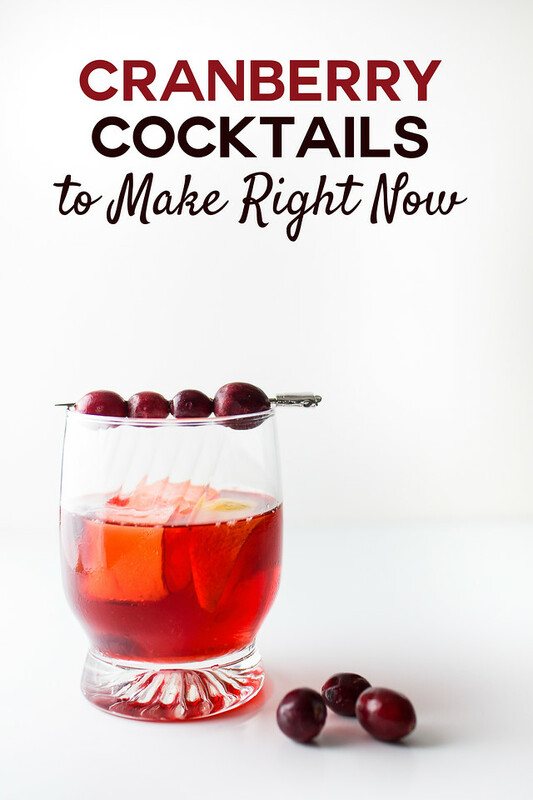 Love these seasonal cocktails, Pam, and those brandied cranberries – oh my! Hope you will share this post with Hearth and Soul this week. Thanks April! I am kind of taking a break from linking parties right now. Welcome back! Glad to hear that your vacation was so wonderful! And wow! all of these recipes sound amazing! Oh my Pam, I do believe those boozy cranberry muffins are calling my name. I only have three bags of cranberries and none in the freezer. I better get lots more!!! Thank you so much for sharing, Pam. I’m so glad you had a wonderful time in California. I would love to go back one day. GREAT to see you back!!! Glad to hear you enjoyed your vacation! I love the cranberry liqueur – it looks so pretty. I don’t utilize cranberries enough in my cooking and definitely need to change that. Amy, it’s not only pretty, it tastes amazing! I have some cranberries and vodka dancing in the kitchen right now…..Happy to see the muffin recipe again, I have a container of the spent cranberries left from last year. Put those boozy cranberries to use! Thanks! I am happy to be back! I missed everyone! I’m so glad to hear you had fun!! And I agree…Cali is just gorgeous!